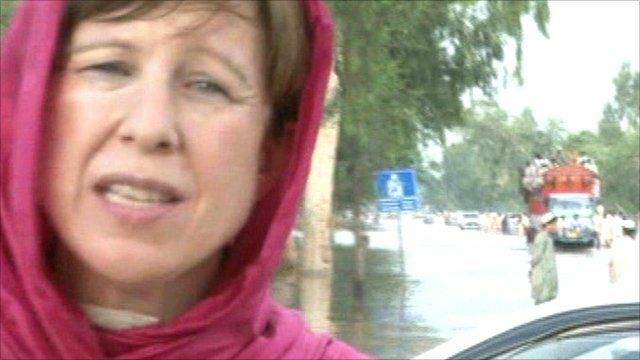 North-west Pakistan 'a massive lake' Jump to media player Lyse Doucet has travelled to north-west Pakistan, where the worst monsoon floods in living memory have killed at least 800 people and affected one million more. 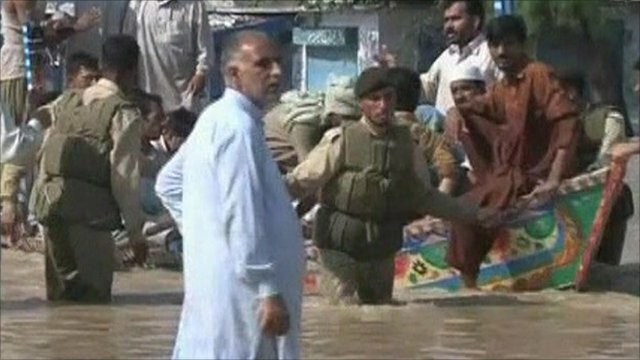 'No help' for Pakistan flood victims Jump to media player Flood victims in Pakistan have complained there is "no help" from the government as rescuers struggle to reach inundated areas. UN voices Pakistan flood fears Jump to media player At least one million people in north-west Pakistan have been affected by the country's worst monsoon floods in living memory, the UN has said. The worst monsoon floods in living memory have killed at least 800 people and affected one million in north-west Pakistan. The BBC's Lyse Doucet reports from an area which has become ''a massive lake'' as floodwaters cut off roads and families complain they have received no aid.